We Are The Classic Vehicle Transport Company! 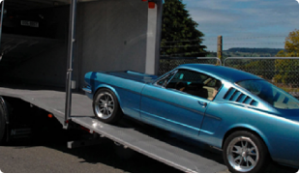 Your classic car is fully insured while it is being shipped. Each of our car shipping company trucks and trailers are protected by cargo insurance for our customers’ cycles and automobiles. Secure Auto Shipping has insurance coverage of $500,000 of cargo insurance and $1,000,000 of liability insurance. If your first concern is having your classic car transported safely and efficiently in enclosed trailers, you have found the right vehicle transport company. This is why we claim to be the best when it comes to shipping your car.